Will both socks make it out of the dryer when I do laundry this time? Will the line at the Starbucks drive-thru be 8 or 18 cars deep? Maybe less so that last one. But on this I think we can agree: plenty of surprises. The early days of motherhood shouldn’t fall onto that list. Sure, there are things that you can only find out after you’ve had the baby, but other things, it’s good to at least feel like you’re a little prepared, or at the very least, not completely blindsided. Because there will be plenty of opportunity for that, I’m guessing, over the next 18 years of your kid’s life. 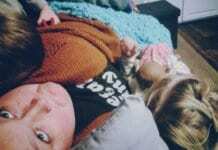 So, here we go: Some things I wish people had told me about motherhood. Uggggh. TMI? Sorry, not sorry. I didn’t get into this blogging business to sugar coat things. It’s the truth! But it’s temporary. …Unless you get a C-section. And then you get another door prize–a scar! Small? Yes. Does it fade over time to nearly invisible? Yes. But still, helpful to know what you’ll end up with. My best advice? Grab these awesome scar-reducing strips once your wounds have healed. I’ve been there, so I know first hand that this can be tough. It’s not selfish to mourn the birth you didn’t have. It’s totally normal to have a some sadness at not bringing your baby into the world in the manner you envisioned. But try not to dwell on it; and if you must, seek professional help or just a kind listening ear so that you can talk it out. I remember after my C-section reaching out to friends who also had one so that I could ask about their experience, their healing process, and their overall thoughts on having a C-section versus vaginal birth. It’s okay if things don’t turn out as you planned. As you’ll soon learn, this is the refrain of parenthood. So I figure, better to get used to it sooner rather than later! Motherhood is hard. Like, the hardest thing ever. But it’s also the best. Let’s start here: Imagine your heart sprouting legs and hopping outside of your chest for a stroll around the world. And then try to grasp the stress that would accompany that scenario, knowing that something that you need to live is subject to the whims and wacky of the greater world. Though this isn’t a literal comparison (of course), it is the closest metaphor I can offer to let new moms know just how much you will feel after your baby is born. Suddenly, news stories aren’t just things happening to other people anymore. They are horrific situations in which your child may very well find him or herself one day. Politics aren’t politics. They are the arguments that are shaping the very tangible things that will impact your child’s welfare–the air they breathe, the debris in their oceans, the leaders deciding who they can marry, etc. etc. You get the picture. It’s… a lot. But for every little worry you gain, you also gain new appreciation for every small thing you may not have noticed before. You slow down, you appreciate moments, and as parenting teaches you that you are, in fact, in control of very little in this wacky little dance called life, you learn to live in and embrace the mess (and I mean that in both the literal and figurative sense). You watch them walk for the first time–at their chubby, bowed legs toddling, fat feet grasping for grip on their nursery floor–and think, Wow, I made that. It’s a real full circle moment in life when you find yourself spouting the same platitudes that your mom and dad said for years, with no trace of irony in your voice. Here’s the thing about love: It grows. The biggest things don’t always start out big; they need time to get there. And that can also apply to motherhood. 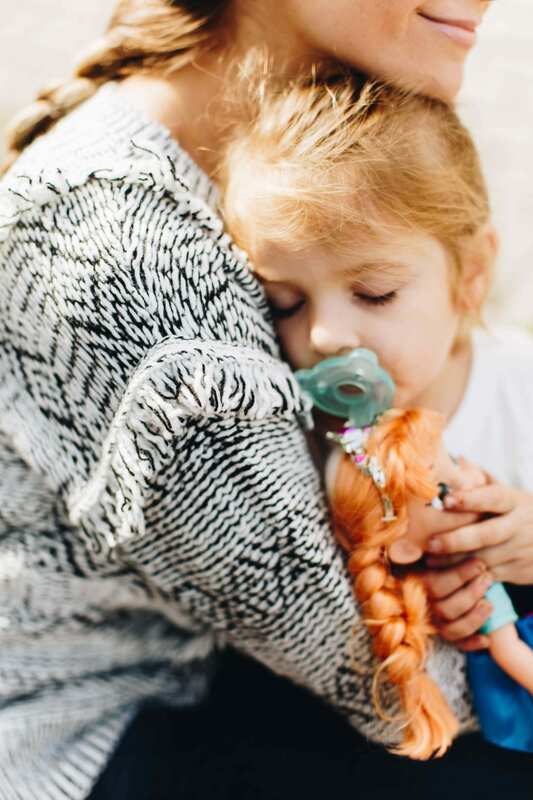 Plenty of moms need time to adjust to their new (huge) role, and don’t feel overwhelmed with a sense of love like everyone tells us we should–and must–feel right away. So don’t beat yourself up if you’re not enveloped in the snuggly feeling right away. Chances are, it will come. And if it doesn’t, and you feel a little bit off? Call your doctor right away and just talk. You are not alone. Some depictions of motherhood would have us believe we have kids and automatically have a brand new batch of mom friends to go with it. That’s not necessarily the truth. It took me years to find my mom tribe–not months. If you’re lucky enough to have gone through your pregnancy or adoption process at the same time as a dear friend, and experience it all together, consider yourself lucky. Many women find that it takes time to meet a group of new mom friends that they truly connect with. Here’s my best advice: Put yourself out there! I’ve even gotten moms’ phone numbers at coffee shops and grocery stores after connecting over a quick conversation. 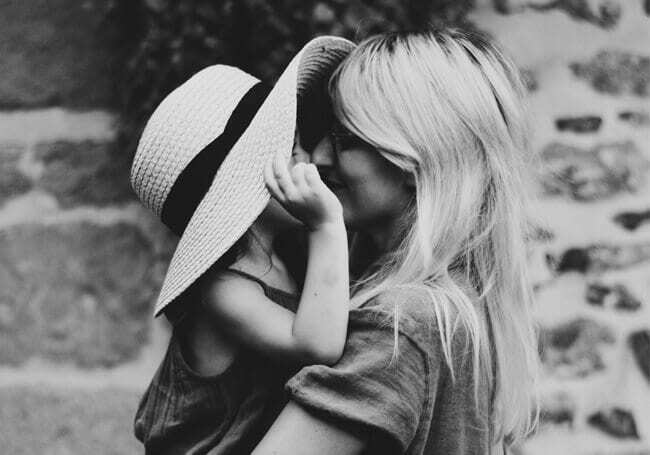 You can’t be scared to put yourself out there, because chances are, that other mom is just as in need of adult conversation and connection as you are. And schedule play dates, even with people you don’t feel like you immediately hit it off with. Who knows what could happen. No one is asking you to move in with this person, just to hang out at the playground for a bit. So take the chance! Introduce yourself and get out there! And I promise, if you don’t find that special mom friend (or group of them) right away, you will at some point. And like any good relationship, it will have been worth the wait. When you have a baby, you automatically end up putting yourself at the end of your own list of priorities. It’s going to feel strange, and maybe a little difficult even, but try to carve out some time for yourself. It’s essential to find “pockets of peace,” as I like to call them, to maintain your mental health and work toward building back up your physical strength, too. This can take the form of a short walk around the block while someone you trust watches the baby; take a stroll with baby in the neighborhood to catch some fresh air; or maybe dedicate a half hour after you put baby down to take a nice hot bath with Epsom salts. My “Me Time” after having Sammy was our daily walk around the nearby lake. I timed out our walk so that he fell asleep during the walk, and I used that time to call friends and listen to music. The main thing is to find a moment to unplug and forget about all your responsibilities for just a short amount of time. You won’t regret it. This is my personal motto for my body–specifically, my belly–in relation to “bouncing back” after baby. Candidly, I hate even using the term “bouncing back” because there is nothing bouncy in your step and most especially in your skin after birthing children (byeeeeee, collagen stores), but let’s use it for lack of a better term. That body whose former purpose was to get you from point A to point B, looking as good or not-good as you wanted it to? It’s now dedicated to the very existence of another human being. So be good to it, and be patient. You’ll get her back, just not right away. A version of this piece originally appeared on sonniabatta.com, published with permission. 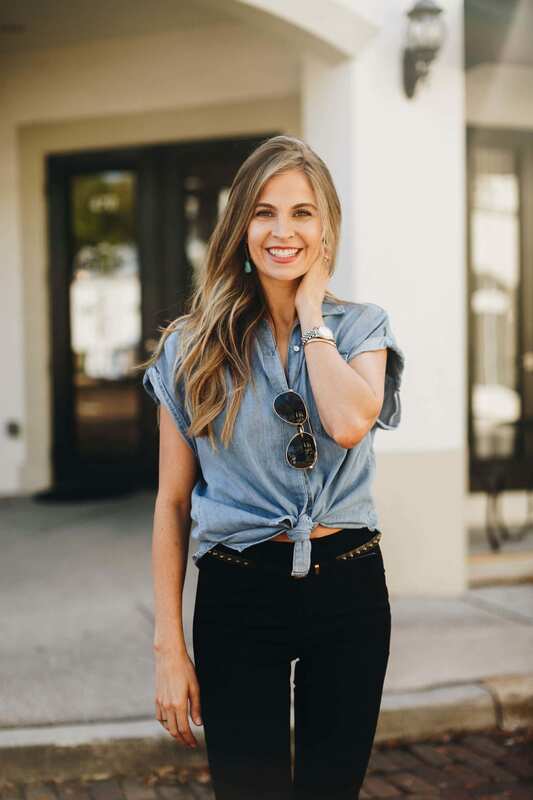 Sonni is a wife, mom of three and former TV news anchor who now loves to write, blog and interview people to create content that makes moms' lives easier and a little more fun. 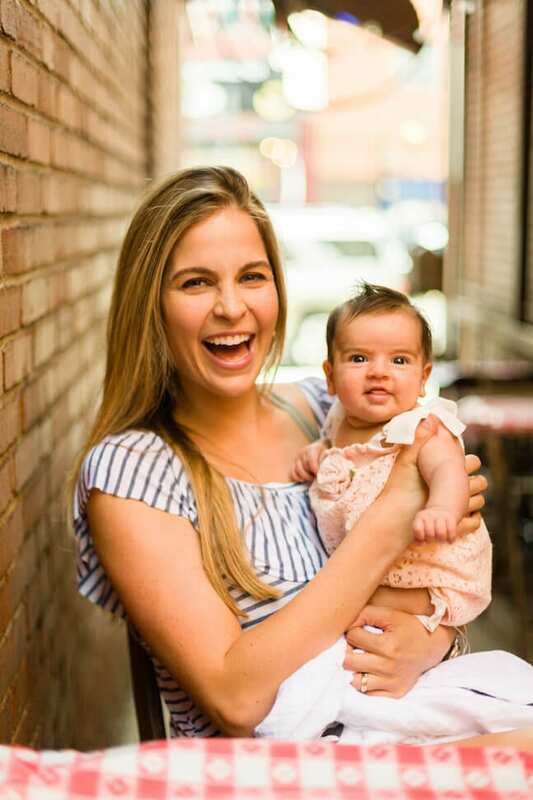 A big believer in keeping it real and using humor to get through the tough moments, Sonni is proud to create content to make moms feel a little less alone, and a lot more entertained.You can read about her journey through motherhood at sonniabatta.com.